Just starting your whisky journey or already aged to perfection? Everyone is welcome at the Gathering. Everyone started somewhere, and we all experienced the difficult journey of finding the right whisky to enjoy. With 2000+ open bottles in 1 location the experience can be overwhelming. But being there with like minded makes all the difference. We created enough seating areas to sit down and relax. With a dram of whisky in front of you it will not take long before you engage into a conversation with friends or other visitors. Don’t be shy and start a conversation, every visitor at the Gathering will either be able to help you out or will be able point you in the right direction. Or you might inspire someone for their next dram. 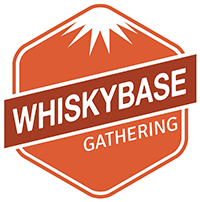 Above all: everyone is a whisky lover, and that is what makes the Gathering so special. You all have something in common and the love for whisky runs deep.